We launched this program early in 1999 in response to a plea from Ruhtt Mbumwae. 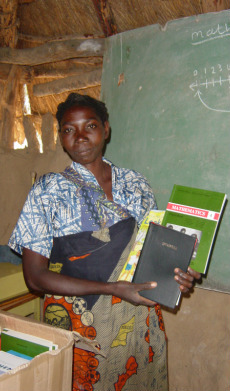 She had met three young children who wanted to be in school, but could not attend for want of school fees and a uniform. Friends in Victoria offered to provide financially for this need – and thus began the sponsorship program. During that first year we increased the number of students to about 50, and slowly have reached our current number (2018) of 170. The number is in flux througout the year as colleges students enter the program. The program managers in Zambia are Shepherd and Ruhtt Mbumwae, both sponsored themselves as high school and university students. Since 1999 ZMF-C has assisted 857 pupils! Not all have succeeded, but many have blossomed. The sponsorship program is academic and needs-based. Students have to qualify academically and each application is researched to determine financial need. Our goal is to help those who have academic potential but are unable to afford school fees or supplies. Many of the students have lost one or both parents and are now dependant on grandparents and other extended family members to look after them. Most students enter this program in Grade 10. This is the year when High School begins and pupils who have passed Grade 9 are assigned a place in boarding at nearby Kalomo High School. From Grade 10 upward the sponsorship funds pay for tuition and boarding fees. This year, 2018, the cost for High School averages Cdn$50.00 per month (averaged over 12 months). The cost to attend College varies according to the specific institution. Students do not receive funds directly, but rather the project managers, Shepherd and Ruhtt Mbumwae, pay school and boarding fees on their behalf. Each week we ask our sponsored students to volunteer several hours of work with a service project in their community. This is to help them develop a strong work ethic along with their academic education. They also are encouraged to uphold a healthy moral ethic in their behavior and attend Bible classes. At the end of each term students must bring their school results to the program manager for review. In this way the students are accountable for their academic performance, and the program manager has an opportunity to congratulate students who have done well or encourage those who are not doing so well! This program has an objective to develop the ‘whole child’: academically, physically and spiritually. Developing a relationship with each student is necessary for this objective, therefore sponsorship for Basic School and High School is limited to schools in the Kalomo area. College students attend colleges from Livingstone to Lusaka, and most are former high school students in our program.